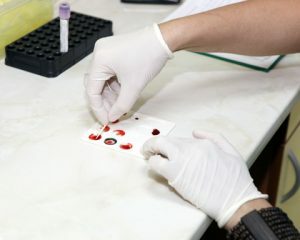 In a competition at UC Berkeley sponsored by Intel, new methods for early disease detection were presented, including one that could detect Hepatitis C in less than an hour, at a fraction of the current cost. Hep C is sometimes called “The Silent Killer” because the infection can simmer for years, slowly destroying the liver before symptoms are severe enough to prompt testing. Early detection not only saves lives but helps stop Hep C transmission. Other devices are being developed for instant, on site testing not only of communicable diseases but hereditary diseases and genetic predispositions. Hep C transmission is far more likely than that of other blood diseases. Currently, Hep C has surpassed HIV transmission despite the same protocols being used. Only the tiniest bit of blood is necessary, and in the right conditions it can survive not just days but weeks outside of the body. Not everyone exposed to Hep C contracts chronic Hep C. An off day, a weakened immune system, and the virus can take hold. It usually takes 6 months for the virus (or antibodies to the virus) to be detectable. It was not reported whether the new testing methods made earlier Hep C testing possible.